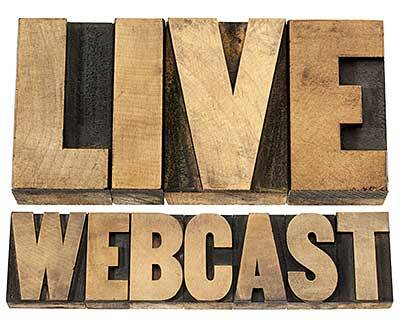 Like Thompson, Chris Knowlton, vice president of product management for Wowza Media Systems, which produces streaming server software, believes the organization that wants to conduct the webcast needs to establish what is to be accomplished by the webcast. Once that has been determined, the producers can decide on the quality level of the transmission, he says. The stream can range from low-resolution video to high-definition streams, Knowlton says. However, for small government agencies and small companies, the quality of the transmission usually ranges from low to medium resolution. “That’s good enough for most companies, especially [for] the talking-head webcast,” he says. Once the quality level has been determined, the producers need to decide the size of the bandwidth, Knowlton adds. If a webcast has 1,000 viewers, reaching all of the viewers impacts the size of the stream, he says. Therefore, if the webcast has a stream of 1Mbps, the user would need to support 500Mbps to stream across the network, he says. That can be challenging for many systems, so the producers have to determine if the system’s infrastructure is “data-intensive,” or if the system’s infrastructure is “distributive.” If it is distributive, the traffic can be distributed across subsegments of the network. This ensures that the network does not get clogged at points, which risks causing the failure of critical data operations because there is insufficient bandwidth to process the video, he says. Another thing for producers to think about is if they want to use traditional streaming to deliver the content even if it is one bitrate and flat, Knowlton says. The question is, does the system have enough bandwidth, or should adaptive streaming over HTTP be used to ensure viewers “get all the goodness of watching something” even if the system used has low bandwidth, or an older computer that does not play back video well is used. “You still get something, even if it’s at a lower bit rate,” he says. Behnke adds that it is up to the producer to take the lead on the webcast. “If you do your due diligence, you’ll get the stream out. If you don’t plan ahead, and don’t test them, that’s when you can get into trouble,” he says. However, if the production has a bigger table and room, along with an audience, and the producer wants to be able to switch shot, or camera angles, then a camera operator is likely going to be needed. Or, the producer can acquire software that enables a single user to manage multiple camera inputs. That way, one camera can be pointed at the board, and another at the audience, while the person operating the camera can use a computer to switch between however many cameras are being used. While Ustream provides system-operational software, Broadcast Pix provides systems such as Flint, which can help organizations that want to conduct a webcast to do that, Ellis says. For small entities that are webcasting meetings, or local events, the producer needs to have a system that enables one person to control the cameras, he says. Flint not only is outfitted with the tools to plug in cameras -- many of which are equipped for remote control—but it also enables those cameras to be switched using a touchscreen, he says. But there is more that a single operator should be able to do during production, Ellis adds. The operator should have control over graphics such as PowerPoint, or the names of the board members prestored in the system. That requires the producer “to think through the process” to ensure that all the elements such as the audio, the microphones, and “the simple things that are taken for granted in the television business are actually completed,” he says. While those are the basics to be aware of, there are other aspects of webcast production that can increase viewers by turning “a boring, run of the mill” board meeting into a participatory event, Thompson says. “Before, during and after the event, the board staff who oversee the meeting need to emphasize that viewers can ask questions by email, or by Tweet, if the board has that capability, he says. “There’s any number of ways to make [a meeting] participatory, and that’s the key thing, to make it more than a passive watching experience,” he says. Once the webcast is over, there are a few things the producers can do to improve future webcasts, says Wowza’s Knowlton. The first is to find out what the viewer experience was. That can be done by using a media player that enables a producer to collect statistics about who the viewers were, he says. Having that type of feedback can be extremely useful as far as understanding the return on investment based on how many viewers were sought for a webcast, and how many actually watched, Knowlton says. There are also server logs that the information can be gathered from, he adds. In addition, the producer needs to get the recorded version of the webcast up on the organization’s website as soon as possible, according to Livestream’s Behnke. “The video on demand after the event is invaluable from an analytic and sponsorship stand point,” he says. Livestream records a master version of the webcast that can be uploaded and enables viewers who might have missed part of the webcast, or who want to see it again, to do so. Because the uploaded version of the webcast is a high-quality version, “the post-production experience can be great,” he says. 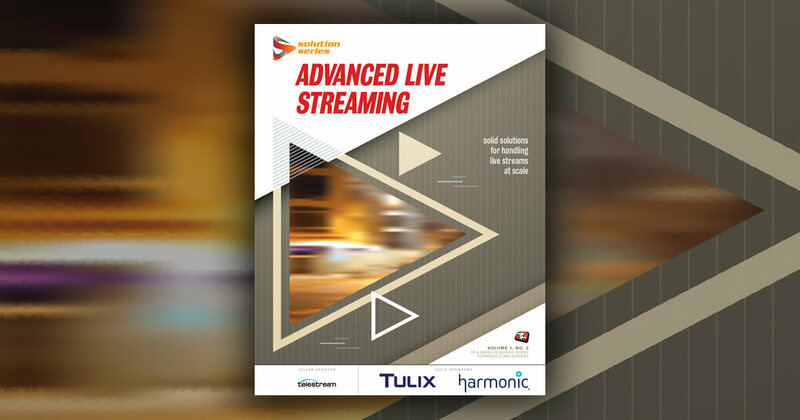 This article appears in the December 2013 issue of Streaming Media magazine as "Webcasting Without Worry."